Yes! 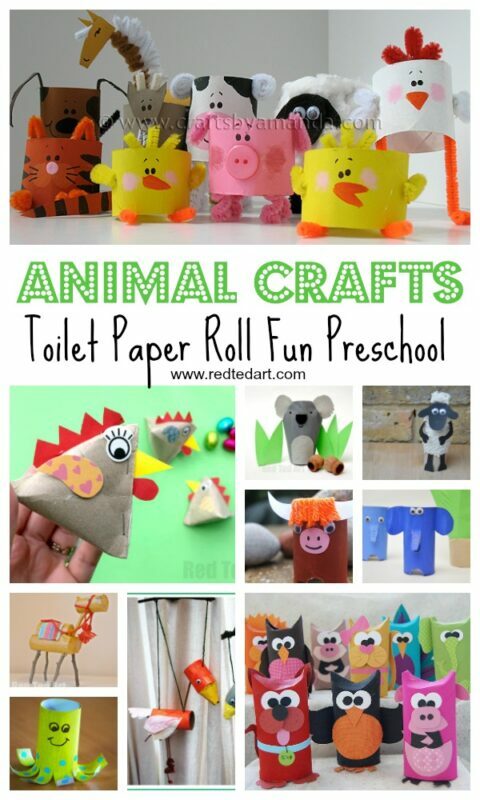 It is time for more Toilet Paper Animal Crafts! 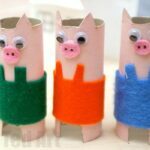 We have had a fair few Animal Crafts recently.. and we have more to come!!! 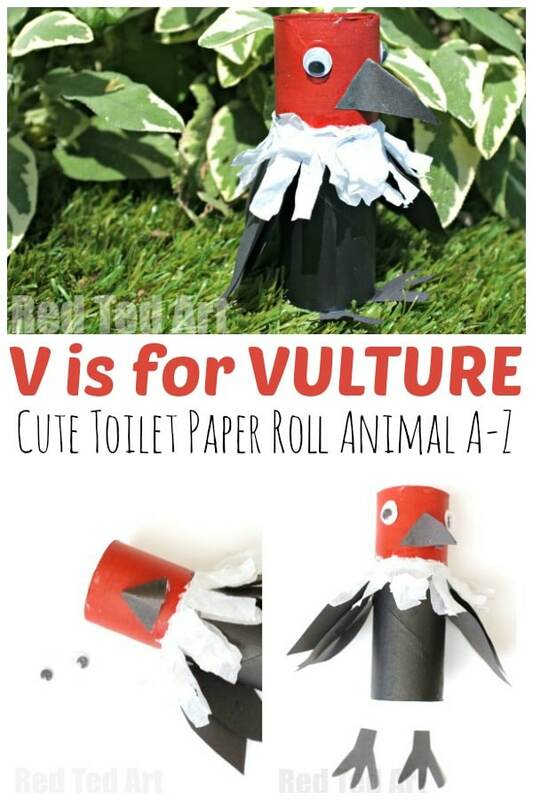 Today it is V for Vulture with our Toilet Paper Roll Vulture Craft. 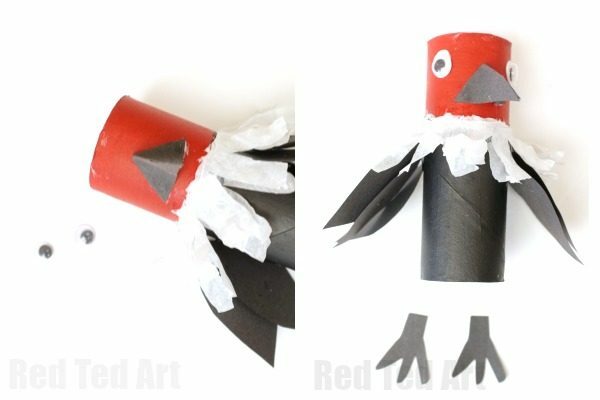 Yes, a vulture is probably not the most popular animal to make.. but I hope you agree that this little guys is pretty cool.. in fact.. it would also make a great Toilet Paper Roll Bald Eagle craft (using different colours) don’t you think?! 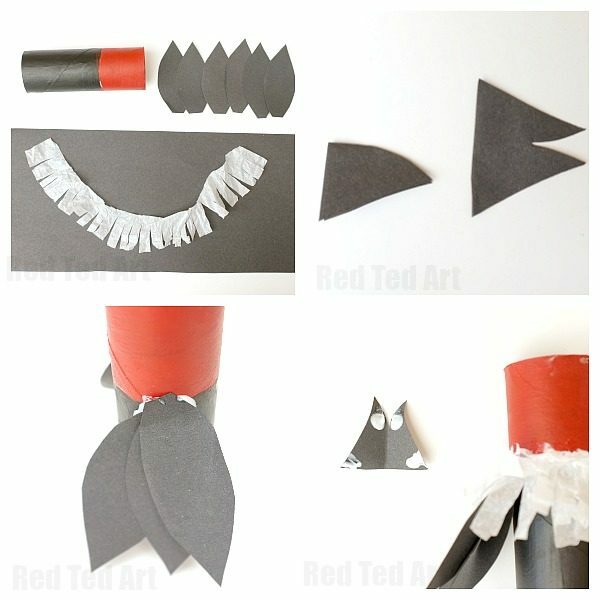 Begin by painting the Toilet Paper Rolls in red and black paint. 2/3s of the way should be black and 1/3 red. 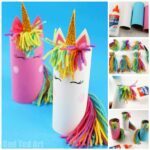 Let dry fully. Netx you will want to cut out some wings and that fabulous “fluffy” feathry neck piece. Each wing has 3 “leaf shape parts”, later glued together. 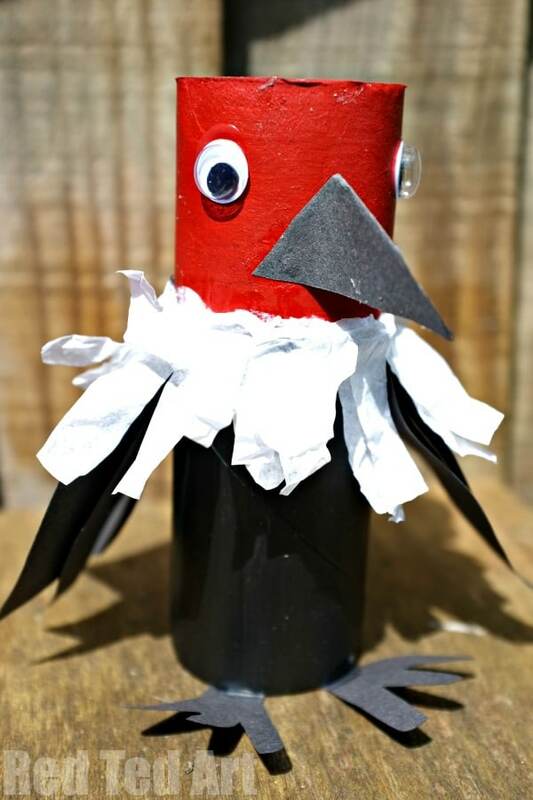 The fluffy neck piece of your Toilet Paper Roll vulture is made from a long strip of white tissue paper (recycled off course), with cuts snipped into it. 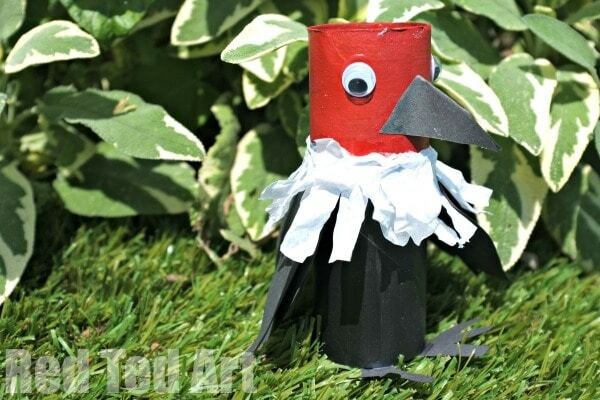 The tissue paper strip should be long enough to fit around your Toilet Paper Roll Vulture’s neck TWICE. For the beak cut a shape as per the pictures – basically if you are looking at it side on (and folded) it looks like one 2d hooked beak. When opened you can see it is connected at the top. 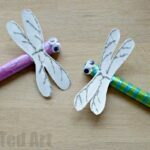 Glue your wings on (as mentioned three leaves on each side). Then glue on the fluffy feathers – going around the Vulture’s neck twice. 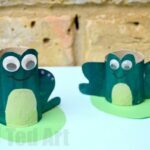 Next I glued the beak – secure the front of the beak with a little glue and the back onto the Toilet Paper Roll (see images). 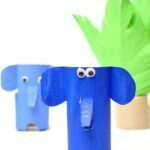 Now time for some of our favourite googley eyes. 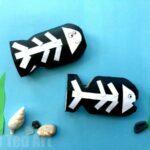 And finally, I decided that our Vulture craft needed some feet.. so I cut some out from black paper and stuck them on!! Done! 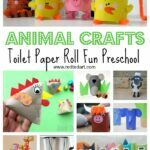 Your Toilet Roll Vulture Craft is FINISHED!! Whoop. 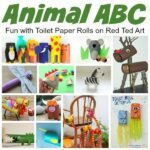 More great Toilet Paper Roll Animal Crafts here (we are working on a COMPLETE A-Z series, but at the moment they are grouped by gendre)..